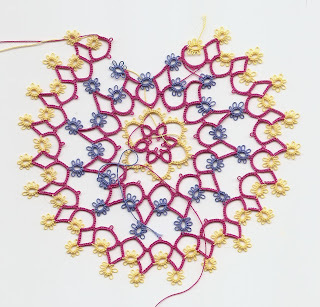 So, I set off to have a go at the doily from Reneluk, using a similar set of colours as Fox. I am afraid it has worked out a pale imitation! I wonder if everyone has the same memory problem as I do...I try to memorise a pattern by the time I have done one or two repeats...so that I can carry some WIPs around with me, and do a few stitches when I have a moment, but I never carry the patterns. Most of the time it's fine, but then I will find I have forgotten the stitch count...or remembered it wrong. Both my edging and this pattern have suffered from poor memory syndrome, so I am wondering now if this round will meet up as it should do after the next few repeats. Oh, well, watch this space. I try to memorize patterns, but it's very difficult. The only one I'm comfortable with is Mary Konior's Spinning Wheel glass mat. Maybe it's my favorite because I have it memorized! I do like the colors you're using! I bring my patterns because I can't remember it long enough. Well, in my opinion, this is every bit as nice as mine! Considering I am using u the thread and do not actually prefer these colours I might actually like your rendition more! It is not as heavy. p.s. 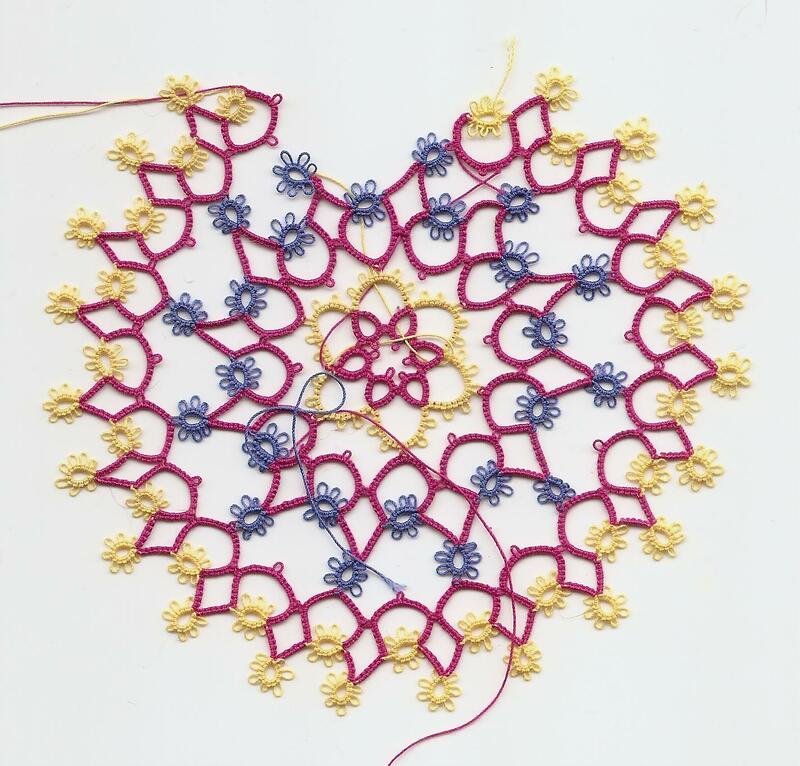 I’ll wager your tatting is much more even and consistent than mine as well!